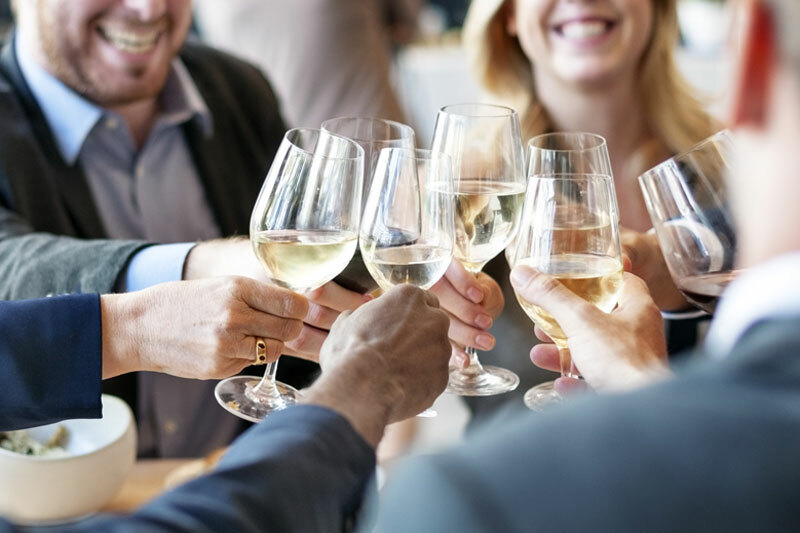 Catering in the San Francisco Bay Area corporate community means catering to the ever-evolving preferences, trends and tastes of our business people. Much like our robust tech scene, those tastes are distinct. They are fresh, diverse and adventurous. Our community is at the cutting edge of the automated, app-focused, on-demand service economy. We understand that a New York minute can’t compare to a San Francisco one (even if we’re three hours behind). Thus, Bay Area businesses need a caterer with a distinct understanding of responsiveness. You need a caterer who works at the pace of the business environment and makes a lasting culinary impression for the impression’s sake. Here is a list of criteria to use when searching for a TRUE San Francisco Bay Area corporate caterer. 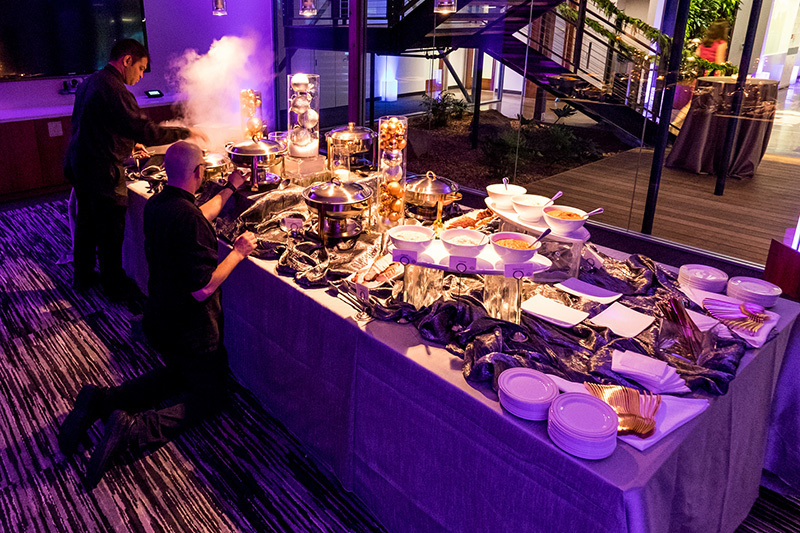 Whether you need everyday lunch services at your software firm or just want to make an impression on your next prospective client, your caterer should come prepared with a full-service approach. This means more than just astoundingly delicious food. This includes tables, chairs, plates, utensils, linens, décor, waitstaff and more. You need drivers who aren’t scared of Lombard Street. Seriously though—the business community demands timeliness and flawless delivery. Your caterer should reflect those needs in their range and delivery. Reliable drivers with a solid record of safely getting food, supplies and services to and from the venue are paramount. You need ambitious flavors, vivid colors, eye-popping presentations and a distinct mindfulness for dietary restrictions. Our community of entrepreneurs does business with many different people from many different backgrounds. Your corporate caterer should provide a menu that accommodates every set of preferences/restrictions without compromising on the quality of fare. A responsive web page that makes ordering easy. As previously mentioned, the San Francisco Bay Area business community is at the forefront of the on-demand social/application economy—an environment that sets a precedent for prioritizing user experience, ease and transparency. Thus, your corporate caterer should both understand and operate in a way that makes organizing and ordering your catered experience (everything from menu to waitstaff) hassle-free. This means having a web page that’s easy to find, easy to navigate and permits you to place an order in a matter of minutes. A caterer that speaks to your reputation and makes you look good. Your corporate caterer should reflect the quality of image and reputation you want to portray to your clients, colleagues and employees. What’s more, they should exhibit the same kind of visible pride in their business as you do in your own. Look for a caterer that’s anxious to learn about you while displaying an enthusiasm for delivering a fantastic dining experience. At first glance, a reader might look at this list and argue that these are features to look for in any caterer. But in a truly great one, none of these traits operate in a vacuum or with priority over any other. Each of these criteria are informed by the same values and ethics that the Bay Area holds closest to our hearts; they are the same values and ethics that make both our business and culinary landscapes truly world-class. 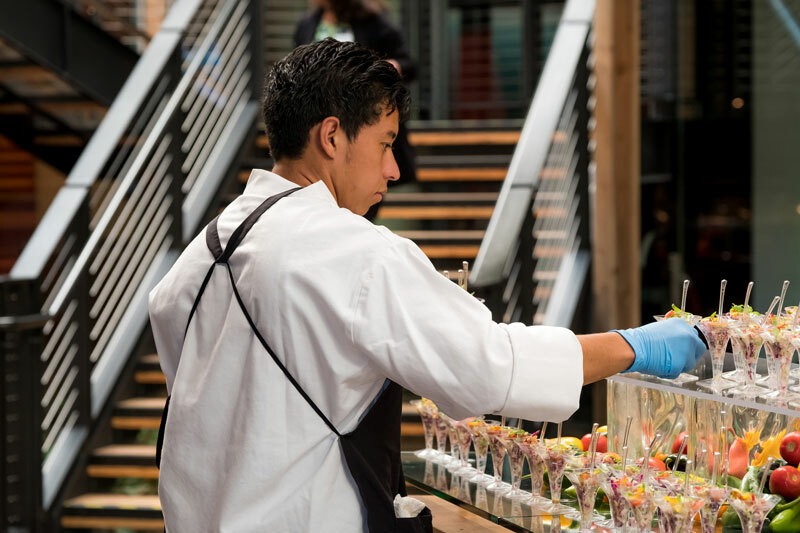 If you’re interested in learning more about catering in the San Francisco Bay Area (or if you’re looking for catering services for your company or next event), contact us online or give us a call at 415.308.4825.